Earlier this week, the Board held a 2-day, public forum entitled Cruise Ships: Examining Safety, Operations, and Oversight. The forum provided an opportunity to learn more about cruise ship operations, and explore the various safety issues involved in operating a cruise vessel. With more than 20 million people expected to take a cruise in 2014, we believed it important to focus attention on cruise ship operations and understand what measures the cruise line industry uses to ensure cruises proceed underway with appropriately trained crew, well equipped and maintained vessels, and adequate measures to address emergency situations. The forum was the NTSB’s first public event on the safety of cruise ships, and we were fortunate to hear from the International Maritime Organization; the U.S. Coast Guard; various vessel owners, operators, and class societies; and other industry groups, including both domestic and international interests. While the topics covered the various safety regulatory schemes applicable to the industry, we also learned more specifically about efforts the industry has undertaken to improve safety in the wake of several recent high-profile accidents. As I listened to the presenters and engaged them in discussion, I was particularly pleased to hear of the increasing practice of adapting proven safety tools from the aviation industry to the marine industry – notably, bridge resource management (or BRM), electronic data monitoring and analysis (bridge operations quality assurance or BOQA), and pro-active internal audits to maintain standards (marine organization safety audit or MOSA). Like the aviation industry, the international marine community has come to value a safety management systems (SMS) approach to developing and maintaining a robust safety culture. It only follows, then, mariners should also come to value these safety tools, as they provide a means to achieving and maintaining a successful SMS. Programs such as BOQA and MONA provide the underlying data critical to threat and hazard identification, whereas BRM is a proven mitigation strategy to address human error. It is gratifying to see cruise lines plot this course and as a result, I believe they, like the aviation industry, will also see dramatic safety gains. In considering the 100th anniversary of the Titanic tragedy in 2012, the cruise ship industry has vastly improved the safety of cruise ship operations, and I encourage them to remain on course with responsive actions to address shortcomings in the wake of recent accidents. However, I also find it interesting, and I believe it is due to the global nature of these two industries, how both the aviation and marine industries have come to similar conclusions in identifying SMS as the best approach to improving safety within their respective modes of transportation. It is said copying is the highest form of flattery. In light of the recent rail and pipeline accidents under investigation by the Board, going out on a limb, I doubt the aviation and marine industries would be offended in the least if the rail and pipeline industries engaged in some flattery. It should not take the nature of a global environment to convince an industry to do the right thing. Earl F. Weener, Ph.D., took the oath of office as a Member of the National Transportation Safety Board on June 30, 2010. 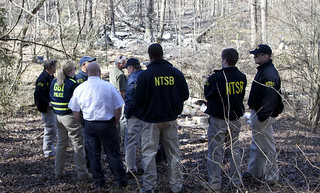 On Monday, the NTSB released the probable cause of a General Aviation (GA) accident that occurred March 15, 2012 in Niceville, Florida. The NTSB determined the pilot’s use of carburetor heat was inadequate, which resulted in carburetor icing and subsequent loss of engine power. The pilot and passenger died. On average, carburetor icing causes or contributes to two fatal accidents per year. The NTSB has identified a number of factors that lead to these accidents, including the failure of some pilots to recognize weather conditions favorable to carburetor icing and inaccurately believe that carburetor icing is only a cold- or wet-weather problem. This recent report on the Niceville, Florida crash reinforces the need for GA pilots to give extra attention to carburetor icing regardless of a flight’s departure and landing locations. For more information, see the NTSB’s Safety Alert, Engine Power Loss Due to Carburetor Icing, released December 2013. Tomorrow starts the NTSB’s training course, Transportation Disaster Response – Family Assistance. I and my colleagues in the NTSB’s Transportation Disaster Assistance (TDA) division will spend the next three days with other presenters helping attendees to understand how any organization involved in transportation accident response can most effectively support accident victims and their families. Long before I came to work at the NTSB, I took this very same training course while working for Pinnacle Airlines as the Manager for Emergency Response, Security, and Flight Safety. I know from my 16 years in the aviation industry that airlines strive to make each flight as safe as possible. When something goes wrong, however, having a plan in place and obtaining the necessary training can make all the difference in working with accident victims and families. I know this from personal experience, having worked 11 aviation accidents as either an emergency responder or accident investigator, most recently when Colgan Air (Continental Connection) Flight 3407 crashed on February 12, 2009 in Clarence Center, New York. My first accident after taking the basic family assistance course was the October 2004 Pinnacle Airlines Flight 3701 crash in Jefferson City, Missouri. Unlike in previous accidents to which I had responded, I felt better able to prepare and guide my team on what the day-to-day challenges would be. I now understood the families’ motivation for information and how the families’ needs differ depending on whether they are passenger or employee families, where such employee-related matters as workers compensation may need to be addressed. I also felt better able to respond to the emotional impact of dealing with personal effects. In addition, this was the first accident in which my team and I had to address the needs of displaced individuals on the ground whose homes were destroyed, a requirement for airlines that was mandated after the crash of American Airlines flight 587 in 2001. Federal legislation specifies that domestic air carriers, foreign air carriers, and interstate intercity passenger rail operators must provide comprehensive and effective family assistance. The lessons learned in this course, however, have significant value for any organization involved in emergency response. For example, as part of the US Army National Guard, I have responded to several natural disasters, including the 2005 Hurricanes Katrina and Rita, and the 2011 tornado in North Alabama. What I learned in the TDA course was particularly important as our National Guard Disaster Relief teams worked to understand the victims’ basic needs and to establish community response centers. TDA training courses often draw a varied audience of emergency response organizations. In addition to the almost 20 airlines and 5 airports sending representatives to tomorrow’s class, we have representatives from multiple local, state, and federal agencies as well as attendees from the cruise line industry, mental and behavioral health organizations, and pipeline operators. The NTSB’s TDA team doesn’t stop with this family assistance course. 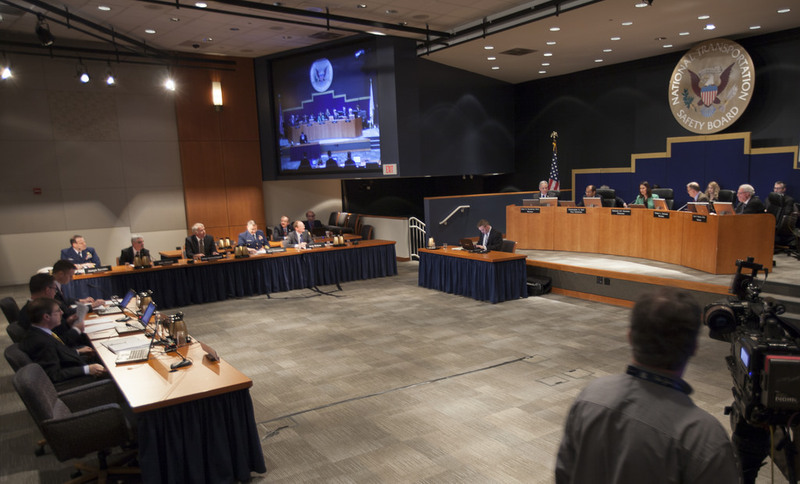 In addition to other courses available at the NTSB Training Center, we travel around the country to conduct trainings and briefings on transportation family assistance response for airlines, airports, local and state agencies and professional associations. The bottom line is to ensure an effective response for the ultimate customers of the service: the family members of victims and survivors of transportation accidents. Michael Crook is the Coordinator for Transportation Disaster Operations in the Transportation Disaster Assistance Division, Office of Communications. Next week, three of my NTSB colleagues and I will attend Communicating for Safety, the safety and technology conference hosted by the National Air Traffic Controllers Association (NATCA). Although NTSB Members and staff have previously presented and attended this conference, this will be the first year that the NTSB will have an exhibit, booth #7. This gives us an excellent opportunity to highlight one our Most Wanted List issue areas, General Aviation: Identify and Communicate Hazardous Weather. When it comes to improving hazardous weather awareness in General Aviation (GA), at least three parties play a critical role: the GA pilot, air traffic control, and the National Weather Service. A common and dangerous misconception that can lead to tragic results is the assumption that one of the other parties has better weather capabilities than “you” do, so frequent communication is critical. One of our goals at this year’s conference is to emphasize the role of air traffic control in hazardous weather awareness by using case studies. Let me give you an example. On the morning of July 9, 2007, a Piper PA-32-260 encountered severe weather and broke up in-flight over Tyringham, Massachusetts, killing the pilot and pilot-rated passenger. On the afternoon of the previous day, the instrument-rated pilot had contacted Bridgeport Federal Contract Facility Automated Flight Service Station to request predicted flight weather conditions for a 0600 departure from Wiscasset, Maine, to Columbia, New York. Bridgeport advised the pilot of potential marginal weather along portions of his route and suggested an instrument flight rules (IFR) flight plan, which the pilot subsequently filed. During the course of his flight, the pilot spoke with two approach controllers. The first controller advised the pilot of hazardous weather conditions. Approximately seven minutes before the accident, he also advised the relief controller that it looked like the Piper pilot would have to turn and that he wasn’t certain if the pilot had weather radar. For the next five minutes, the relief controller made five routine radio transmissions, but none to the Piper pilot. About a minute before the accident, the pilot advised that he was encountering hazardous weather and requested to divert to the south, which the relief controller approved. This isn’t the first accident we have investigated where weather guidance from air traffic control could have made a difference. As air traffic control investigators, we understand the primary responsibilities of air traffic control, but also know that the provision of additional services is not optional, but rather is required when the work situation permits. The overwhelming majority of aviation-related deaths in the United States occur in GA, and historically, about two-thirds of all GA accidents that occur in instrument meteorological conditions are fatal. It seems appropriate that at Communicating for Safety, the NTSB will stress the vital role that communication plays in driving down the accident rate. So please come find us at booth #7 to learn more about steps you can take to make the skies safer for the GA community. 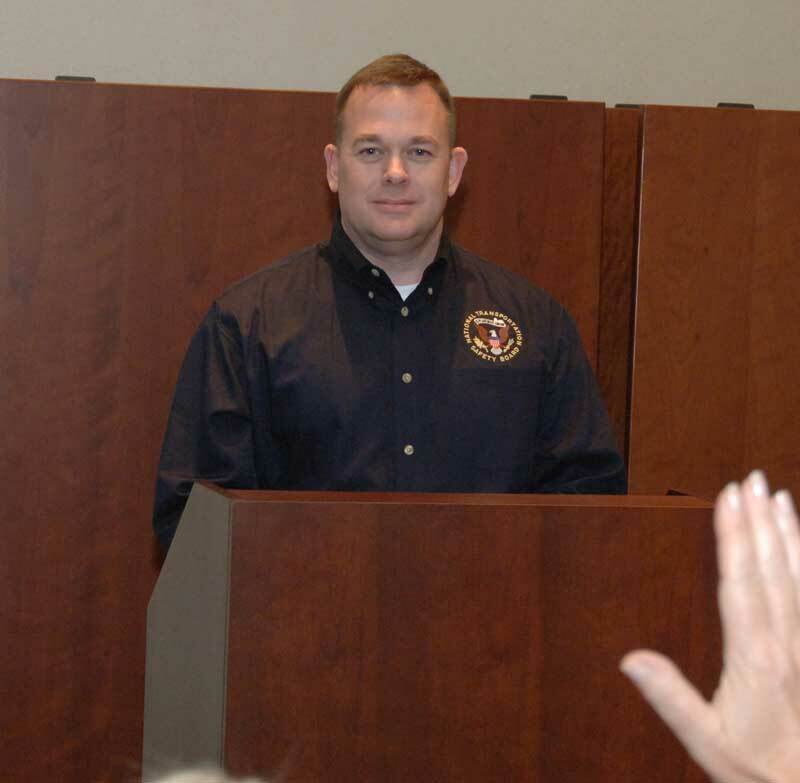 Dan Bartlett is an investigator in the NTSB’s Office of Aviation Safety. In our almost 50-year history, the NTSB has issued 13,945 safety recommendations. Admittedly, sometimes the recommendations go unaddressed. Most of the time, however, changes are made and safety is improved. In fact, of the 13,945 safety recommendations, only 2,077 (about 18 percent) have not been implemented. Here’s a story about two recommendations and the quick response from the recipient. On September 30, 2013 during rush hour, an unoccupied Chicago Transit Authority (CTA) train collided with a CTA train in revenue service carrying about 40 passengers. Although 2 CTA employees and 33 passengers were transported to local hospitals, all were treated and released, and thankfully no one died. Very early in our investigation, we learned that the unoccupied train had been stored at a terminal awaiting repairs when it began moving under power and entered main line track. Despite repeated attempts by the automated system to apply brakes when the train passed a stop signal, the train resumed each time because the master lever on the operator console had been left in a setting that allowed the train car brakes to recover and reset from the emergency brake application and proceed through a mechanical train stop mechanism after a momentary stop. On October 4, we issued two urgent safety recommendations addressing the need for redundant protection to prevent unintended train movements. Less than one month later, the CTA released three Rail Operations Service Bulletins and one Rail Maintenance General Bulletin as an expedient means to safeguard against future occurrences. By December 5, the CTA had fully implemented policies requiring that all unmanned consists are shut down and the motor cabs secured to ensure that unoccupied CTA trains are not powered up while stored or on hold for service and to ensure that the propulsion and brake systems are left in a condition that would not facilitate unintended movement. The CTA would also now mandate the use of wheel chocks and other operating safeguards against unintended train movements. Moreover, the CTA had identified 39 locations at 10 yards where the CTA would install derails to prevent unintended movement on to main lines. Our investigation into the cause of the accident is ongoing, but we have learned in almost 50 years of investigations that often a series of events leads to an accident and multiple opportunities to improve safety exist. The CTA didn’t hesitate when presented with the facts, and Chicago is safer. Robert Hall is the Director of the Office of Railroad, Pipeline and Hazardous Materials Investigations. Festivities on the day honoring St. Patrick have grown considerably since the world’s first St. Patrick’s Day parade on March 17, 1762, in New York City. It has evolved into a celebration of all things Irish and is a tribute to the 35 million resident Americans of Irish ancestry, seven times the population of Ireland itself and the second largest ethnic group in the nation. And this has turned into a $4.8 billion party with an estimated 133 million Americans partaking in some form of related festivity. Brewers took in $245 million last year and bars or liquor stores can make one percent of their total annual sales on St. Patrick’s Day alone. On St. Patrick’s Day, thirty-two percent of motor vehicle crash deaths involve an alcohol-impaired driver. Like so many other holidays and events in this country, St. Patrick’s Day has become synonymous with drinking. 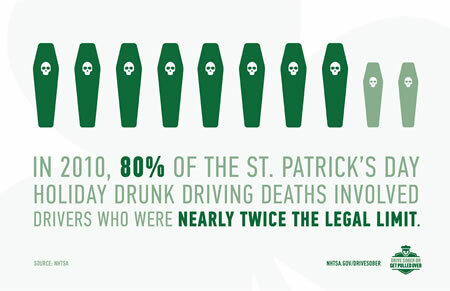 While drunk-driving deaths in the United States dramatically increase on this day the same way they do during other alcohol-driven celebrations, 80 percent of all drunk-driving deaths on St. Patrick’s Day involve drivers who are nearly twice the legal blood alcohol limit (BAC). Unfortunately, many people who celebrate by drinking choose to drive impaired or ride with an impaired driver. As the NTSB noted in its report Reaching Zero: Actions to Eliminate Alcohol-Impaired Driving, driver impairment doesn’t just begin at the current legal BAC limit of 0.08, but with the very first drink. In 2012 alone, 10,322 people lost their lives in an alcohol-impaired crash. Research shows signs of impairment such as swerving and lack of focus with a BAC as low at 0.01. At a BAC of 0.05, a driver’s crash risk increases by 38 percent. That risk is 250 percent greater at 0.08. A new UC San Diego study concludes that “minimally buzzed” drivers even with blood alcohol levels as low as 0.01 are often responsible for deaths on the road, and found a direct correlation between low-level alcohol impairment and greater accident severity. Drivers with a BAC of just 0.01 are 46 percent more likely to be blamed for car crashes than the sober drivers they collide with. Driving to your destination safely isn’t about luck, it is about responsibility and having a strategy for separating the consumption of alcohol from the driving task. The problem is not just limited to St. Patrick’s Day. Anytime drinking alcohol may coincide with getting behind the wheel of a car, plan ahead to avoid a situation that places your life and the lives of others at risk. There are many options. Personal responsibility, moderation, and discretion, combined with alternatives such as public transportation, taxis, designated drivers, and sober rides are all great ways to help prevent an impaired driver from getting behind the wheel. Party hosts are responsible for their guests’ safety as well. Make sure all your guests designate a sober driver in advance or arrange for alternate transportation to ensure they get home safely. Serve food and include non-alcoholic beverages as a choice. Stop serving alcohol reasonably early and keep the numbers for local cab companies handy. By planning ahead to avoid drinking and driving, we can leave luck to the Irish and count on making roads safer for everyone. Mark Rosekind, Ph.D., is a Member of the National Transportation Safety Board. He is a frequent contributor to the NTSB blog. I arrived in the nation’s capital over two decades ago as a college intern believing that government can do important work on behalf of the citizens of this great country. After nearly 10 years at the National Transportation Safety Board, I will depart Washington with the knowledge that the traveling public is the beneficiary of an accountable, transparent government agency with a great mission focused on saving lives and preventing injuries. I look back at the hundreds of investigations and recommendations that have been issued during my tenure at the NTSB, and I have seen the landscape of transportation safety improve before my eyes. Today training standards for transportation professionals are more rigorous, federal safety oversight exists for the rail transit industry, work schedules for pilots, locomotive engineers and truck drivers allow for more rest opportunities, the majority of states ban texting behind the wheel, and all but two states have passed booster seat laws for young children. These changes and so many other safety improvements are the result of industry, labor, advocates, regulators and legislators all working in their particular spheres of influence to make travel safer for people that don’t always appreciate the risks they face. The NTSB and often, the families of victims, have served as critical catalysts for bringing about change after a terrible accident. It has been an honor to be associated with a noble mission that has at times inspired and evoked passion and at other times, been in the crosshairs of controversy, as real change doesn’t come without a cost. I want to thank President Obama for entrusting me with this tremendous responsibility. If you are lucky in life, you get a chance to have a dream job. If you are really lucky, you get to have more than one dream job. I look forward to continuing to improve the safety landscape with the Board of Directors and employees of the National Safety Council, another organization dedicated to saving lives and preventing injuries. And yes, I know how lucky I am. 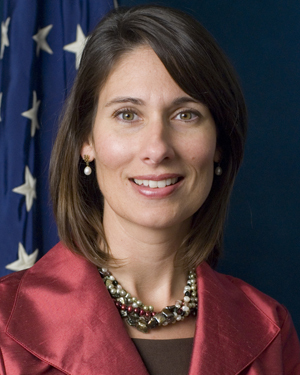 Hersman served in the Administrations of both President Obama and President Bush. She was confirmed unanimously in 2004, 2009, 2011 and 2013 by the U.S. Senate under both Republican and Democratic leadership. During her Chairmanship, Hersman focused on accountability, integrity and transparency. She elevated the stature of the NTSB with external stakeholders and the public by tripling the number of investigative hearings and public events hosted by the NTSB each year; completing many major accident investigations within 12 months; and revamping the agency’s public and media presence through strategic use of digital communications. Her efforts also enhanced the NTSB’s international relationships, increased advocacy efforts with key stakeholders in government and industry, and elevated the treatment of families of victims of transportation accidents. Her leadership resulted in a more powerful voice for the traveling public. Hersman will continue to lead the agency until April 25th. Vice Chairman Christopher Hart will serve as Acting Chairman upon her departure.